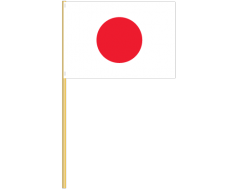 Beautiful, high-quality nylon Japanese ensign flags for mounting on most flagpoles. Each flag has canvas header and brass grommets for mounting. Made in the USA. 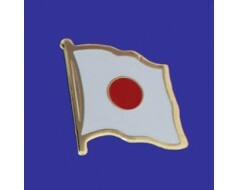 The Japanese ensign design is similar to the flag of Japan, which has a red circle in the center signifying the sun. 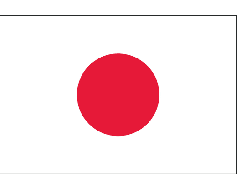 The difference compared to the flag of Japan is that the Rising Sun Flag has 16 rays extending from the sun exemplifying the name of Japan as "The Land of the Rising Sun". 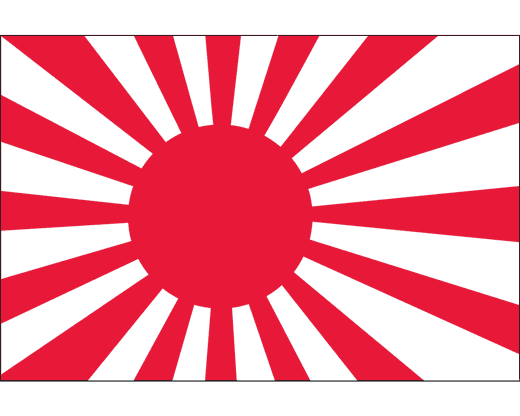 The Imperial Japanese Army first adopted the Rising Sun Flag in 1870.